Looking to buy an affordable guitar? Beginner guitarists and those on a tight budget have never had it so good. 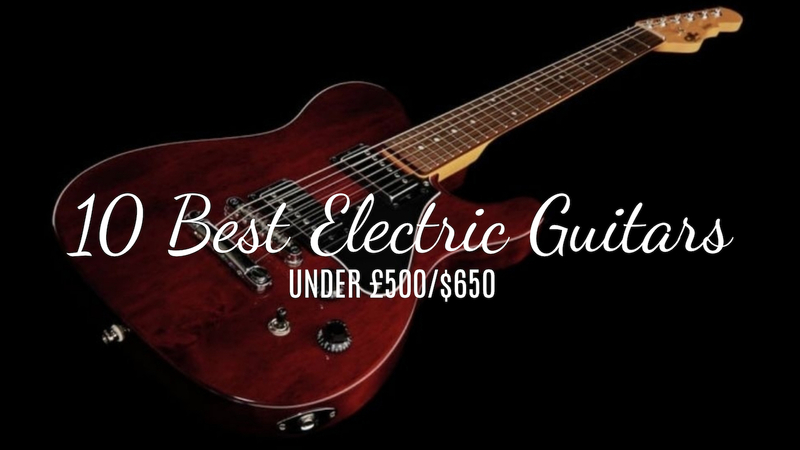 While once the words “budget electric” meant “poorly made knock-offs”, rising standards and production innovations have changed all that.So, which are the best budget electrics guitars available today?We got our in-house experts over on MusicRadar, Guitarist and Total Guitar to recommend the 10 best guitars around right now in the sub-£500/$650 market. You may recognise some of the perennial budget classics, but there’s a raft of high-scoring options out there for the more adventurous.Gretsch G2622 StreamlinerLaunch price: £350 / €499 / $749The Streamliner concept is simple: to create more affordable Gretsch guitars without losing that unique Gretsch quality. So, this new range centres on three body styles: the large 406mm (16-inch) wide G2420T; the same-sized double-cut thinline G2622, with spruce centre block; and a downsized 340mm (13.375-inch) wide Junior version, the G2655. There are two Bigsby versions of each model (the only difference being the sole colour they are offered in), and one hardtail version that, along with a single G2622 lefty, creates a 10-strong range. Despite the different styles, there are just two prices: the non-Bigsby versions cost £350; the Bigsby-equipped models and the lefty are £395, pretty much half the price of the existing Electromatics. Want to know more? Read the full review.View DealCort Manson MBC-1 Matthew Bellamy SignatureLaunch price: £500 / €600Manson are famous for the fancy-dan guitars they make for Muse’s Matt Bellamy. While the MBC-1 is designed to hit a completely different price point to Mr Bellamy’s upper-tier Manson creations, it’s still designed by both Matt Bellamy and Hugh Manson, it’s just made in Indonesia by guitar-making giant Cort. A quick strum lets you know this is a Manson through and through: it rings like a bell, the sort of acoustic response you’d expect from a quality guitar, but not always at this price. Game on. Want to know more? Read the full review.View DealEpiphone ES-335 DotLaunch price: £279 / $499If you fancy a no-nonsense semi with more than a whiff of background and expertise, cast your eyes in Epiphone’s direction. The Dot is a gem. Want to know more? Read the full review.View DealYamaha Pacifica 112VLaunch price: £227One of the longest-standing, all-out brilliant budget guitars out there, the Pacifica remains one of the guitars to beat at this price point. A brilliant player with a great tone and finish, it’s essentially the perfect beginner guitar. Sure, Hendrix never played one. Eddie Van Halen isn’t a Yamaha guy – but don’t let that stuff fool you or stop you from trying one. There’s a reason it’s been the greatest beginners guitar for a couple of decades. Want to know more? Read the full review.View DealPRS SE Standard 24Launch price: £400 / $499You’d probably expect PRS’s Korean-built SE Standard to pale in comparison to the American-made S2 Standard 24, but you’d be wrong, sunshine.The tones are here: searing solos, toasty rhythms and coil-split quack are all within reach, and while they don’t quite have the shimmering top-end of the S2’s pickups, at this price it’s still an impressive performance. Want to know more? Read the full review.View DealIbanez Roadcore RC320MLaunch price: £350If you’re after an axe that’s off the beaten track in both looks and sounds, a Roadcore makes for a worthy travelling companion. Want to know more? Read the full review.View DealSquier Bullet Mustang HHLaunch price: £120 / €129 / $149Like Squier’s other entry-level models, the Bullet Mustang has a basswood body which gives it an incredibly lithe, lightweight feel. If you’re used to the manly heft of a Les Paul then this, combined with its 24-inch scale length, can make the Mustang feel like a toy in comparison when you first pick it up. But give it a chance and the weight become another positive. The two humbuckers are the most obvious departure from the original, providing angular grit in the bridge position and a pleasing, earthy warmth in the neck. Realistically, you’re not going to be extracting much in the way of classic vintage tones on account of the basswood body, but the Mustang’s pickups hold their own across a range of genres. Want to know more? Read the full review.View DealSquier Vintage Modified ‘72 Telecaster ThinlineLaunch price: £406 / €490 / $4991972 was a good year for music: Machine Head, Ziggy Stardust, Eat A Peach, Pink Moon, Thick As A Brick, Exile On Main Street, and too many more to mention. It was also the year that the Telecaster Thinline grew up. Originally introduced to bring down the weight of the Tele following a shortage of Fender’s go-to light ash bodies, the addition of two Fender Wide Range pickups transformed it into a new thing entirely.Squier have dug it back up and introduced the ‘72 to its own range, and it looks the business, with white pearloid scratchplate, finely carved f-hole and Fender-embossed humbuckers. Want to know more? Read the full review.View DealSchecter Stealth C-1Launch price: £449 / €749 / $699An impressively well-made and great-playing axe at any price – and one you won’t want to keep hidden. Want to know more? Read the full review.G&L Tribute Series ASAT Deluxe IILaunch price: £410 / €494 / $672Its almost boxy profile recalls a Telecaster, but the sculpted bump on the headstock is unmistakably G&L; the ASAT Deluxe II is very much a guitar that’s keen to do its own thing, encouraging its owner to do likewise. Anyone considering an SG, LP or similar owe it to themselves to try this first. Want to know more? Read the full review. Want even more choices? Read MusicRadar’s buyers guide.